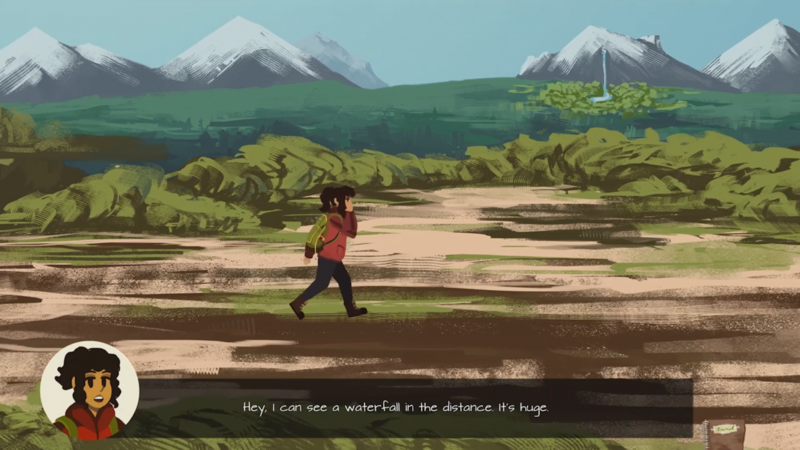 Quiet of the Leaves is a 2D side-scrolling narrative adventure game where you play as a young woman named Mars on a two week backpacking trip with her estranged father in the North American Ozarks. The planned bonding trip goes awry when the two separate after a huge fight and find themselves hopelessly lost and alone in the wilderness. Equipped with only their trusty walkie talkies and ingenuity, the father-daughter pair must work as one in order to come back together both physically and emotionally. “I grew up near the Ozarks in the Midwest,” says Ryan Bobell, the game director of Quiet in the Leaves, “so the setting is one that’s very important to me. I think backpacking and camping are the best ways to really learn about a person, and about yourself. Everything is bared in such situations, and it triggers really honest conversations. “I thought a game based around this scenario would be a really interesting opportunity to explore themes that are really relevant and important to my life, and yet I don’t see them in any games made previously. For me – and several folks on my team – we found ourselves changing significantly throughout high school and growing progressively distant from our parents. Developed in the University of Southern California’s Advanced Game Project capstone program, with help from students at the Laguna College of Art and Design and the Berklee School of Music.